I want to thank all who contributed to this conference. It was an honor to be present here with in the beautiful city of Ekurhuleni. The presentations are available here: Agifors Crew 2017.zip. The event will take place in the Peermont Metcourt Hotel. This hotel is situated 2.7 km from O. R. Tambo International Airport of Johannesburg and is part of the Emperors Palace Casino Complex and located in the City of Ekurhuleni. We have secured a rate that is between 30% and 60% below the rack price. The group rate for a Classic King room is ZAR 1185 per night. For this please use the button below. In order to qualify for this rate you need to book using the button below and either pay by Credit Card or EFT. This rate is available until April 3rd. 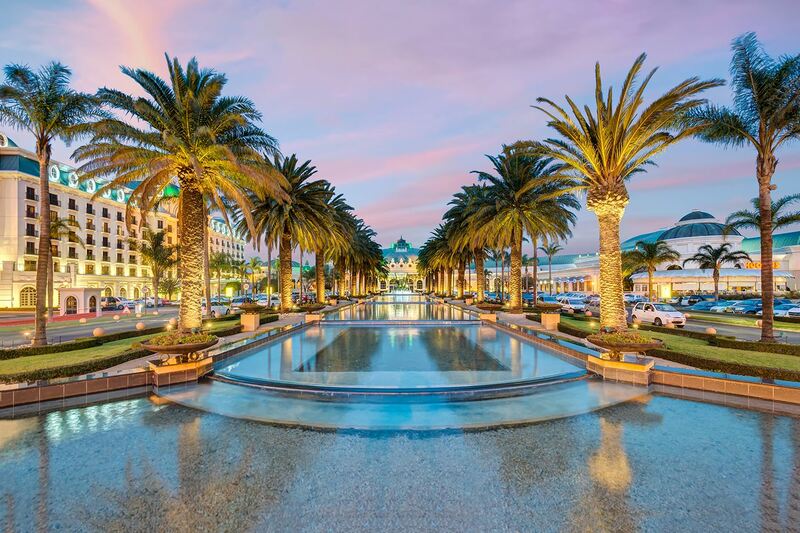 The tour will start at Emperors Palace at 16:30, go through Aviation Museum and then Chris Hani Memorial and House, then OR Tambo Memorial and the Precinct for the cocktail. Qatar Airways, in last AGIFORS annual symposium, shared its experience in implementing the “Next Gen Ops System at Qatar Airways, and would like make another step forward by share its ideas and thoughts in handling the Integrated Next Generation Crew Tracking at Qatar Airways. Most of the day-to-day disruptions impact both ops and crew control almost equally. But, in most of the cases, because of the operational systems, decisions are taken unilaterally and departments typically react to the decisions made by the others. The Next Gen Crew Tracking system will enable Qatar Airways to have seamless integration of Ops and Crew solutions, thus enabling the airline to have better, cost effective operational solutions through improved collaboration between the units. The Next Generation Crew Tracking in Qatar Airways will be based on Management by Exception and aimed to be fully driven from the business centric dashboard that provides a completed awareness of operations in real-time along with business solvers. The next generation technology platform will enable Qatar Airways to have a scalable, adaptable and productive crew tracking function. I have got overall 15 years of industry experience, with last 5 years in QR leading the functional stream of TOPS-Integrated Ops System Program. Prior to QR, I was working with a leading product company in the area of Airline Crew Management and has handled product implementations across airlines such as Emirates, BA, KLM, MAS etc. I completed post-graduation in business administration in 2002 from Amrita Institute of Management, India and an engineering degree from University of Calicut, India in 2000. Worldwide airline news include reports about conflicts between crews and airlines on collective agreements. Due to our project experience we know that it’s hard to balance productivity goals and lifestyle options for crew. From a crew management perspective crew flexibility and high productivity are required. In contrasts to that, crew expects fair and socially acceptable duty plans – in combination with an increased desire for work-/life-balance and self-determination. We would like to share our approach on supporting airlines to achieve transparency on the impact of rules on their operations and costs as well as unions to negotiate jointly approved and more sustainable collective agreements. Enhanced and digital ways of communication between crews and crew planning departments support this goal even further and are part of the evaluation. Marina is a Managing Consultant at M2P's Frankfurt office and has been with M2P since 2014. She is part of the company’s Resource- and Crew Management expertise team. Her experience with M2P includes extensive work with Airlines across Europe. Marina is particularly experienced in working with companies on Resource Management, Collective Bargaining, Business Process Optimization and Change Management. She holds a master’s degree in Industrial Engineering with focus on Traffic Management and Aviation. We expose some uses cases that show how daily captures can help to analyze the evolution of business' KPIs and to identify some enhancements for both crew management tools and process. Management of crew disruptions is a multi-step process, with some time-critical decisions needing to be made within minutes, while other problems can be resolved several hours later. When making time-critical decisions, the crew controller often needs to make decisions based on factors that are not known by a decision-support system - e.g. whether a captain will be willing to use his discretion to extend hours, or whether the controller would prefer to reserve airport standby crew for expected later disruptions. This presentation discusses techniques used to rapidly provide a ranked list of alternative solutions with a diversity of solution types for the controller to choose from. It explains how both the diversity criteria and the ranking and KPIs included with the solutions to assist comparison are defined using configurable rules. to this. A rising awareness of crew costs led to a constant cost saving pressure in recent years – on the other hand the Manpower Plan still needs to guarantee a sufficient level of operational stability. M2P would like to present its approach to evaluate the impact of strategic and operational decisions on an airline’s Manpower Planning. Furthermore we would like to outline the importance of stakeholder management in this context as in many cases it is one of the success factors for precise & realistic planning. This also requires detailed, but easy to use, reporting functionalities to create the necessary level of granularity – as well as providing a transparent baseline for all stakeholders involved to make the right decisions. Franziska is a Managing Consultant at M2P's Frankfurt office and has been with M2P since 2014. She is part of the company’s Resource- and Crew Management expertise team. Her experience with M2P includes extensive work with Airlines across Europe. Franziska is particularly experienced in working with companies on Resource Management, Collective Bargaining, IT & business process implementation and Change Management. She holds a bachelor’s degree in Business Administration with focus on Tourism & the Aviation Industry. I began my career in aviation as a Port Moresby based pilot with Air Niugini flying the DH7 & F28. I later moved to Hong Kong to fly 744s & 777s for Cathay Pacific for a period of 3 years. A subsequent move to Qantas then saw a switch to operations research roles in the areas of flight planning, fuel efficiency and aircraft evaluation. I joined the Boeing Company in August 2014 in the role of Flight Crew Economics in Marketing. Crew resource management is one of the critical factors in ensuring the smooth operations of any airline. In most cases information flow during planning is sequential however it is imperative that effective feedback loops are incorporated. Effective analytical feedback enables planning team to adapt quickly to ever changing landscape and improve the planning processes and reduce cost. Data exploration is not simple task in an airline environment as data resides in multiple specialized systems with complex structures and dynamic relationship which makes it tricky when they need to be brought together. Join us while we take you through our data discovery journey and how it influences management of crew resources. Afeef is a Business System Development Manager in Flight Ops department with over 13 years of Business Analysis experience across multiple industries including BPO, IT and Aviation. Prior to joining Qatar Airways he was a part of HP and Dell analytics. He has handled a variety of roles including Program Management, Business analytics and Quality management. He holds a Master degree in electronics engineering. Ajit has been working at Jeppesen for the past 5 years, providing after delivery support to airlines, enabling them to improve the installation of crew products and their business by adapting to the changes in the market and making using of Jeppesen’s state of the art optimization solutions. As a Product Owner for the Crew Pairing Optimization team, he has been driving the development of the pairing product to deliver functionality that adds value to the role pairings play in the airline business and also sustain the value of the product in the long term. He has a dual master’s degree in Computer Science and a keen interest in learning more about the airline business and its intricacies. Cancellations, diversions, and long delays often result in flight crews being out of position to cover their assigned flying. American Airlines developed Crew Recovery to automatically re-build and upload crew sequences for domestic cockpit crews and flight attendants disrupted due to flight cancellations. Crew Watch extends Crew Recovery by adding a smart alerting system that warns about crew violations based on projected delays within sequences and solving all types of crew disruptions, including ad-hoc cancellations, delays, diversions, sick calls, etc. Crew Watch proactively mitigates and resolves affected crews by repositioning or swapping them with other crews, while also complying with all FAR 117 regulations along with contractual obligations. Isaac works as an operations research consultant in the Operations Research and Advanced Analytics Group at American Airlines. In the era of intense competition, Airlines invest heavily in features which are directly visible to passengers. Airline operations remain hidden to the passengers as they are not too tangible. Unfortunately, when outages happen and schedules go awry, Airlines face the ire on social media. As Vice President and Head of Sales for Airline Operations I'm responsible for sales and business development of IBS' Airline Operations solutions across all regions. I work along with region sales and LoB pre sales teams in identifying, nurturing and acquiring customers for various products/solutions of the LoB. I have more than 20 years of experience spanning over the logistics industry, air cargo industry and airline business IT solutions industry. Before joining IBS, I was responsible for the market development of the NetLine suite of products (Schedule Management, Operations Control, Crew Management) at Lufthansa Systems as product manager and product consultant. Other than travelling as part of my job, in my private time I love to play golf, read books, eat the delicious food cooked by my wife and follow social media. The presentation shows the possibility of Requests for CONDOR CREWS and give an latest update for SB / RES Lines. Helmuth's career within aviation spans 5 decades. Starting as a flight engineer on B707 for Lufthansa. In 1981 he moved into a management position until in 2005 Helmuth went into Consulting. The structure of pairings and rosters are to a large extend determined by the airline’s flight network and crew distribution. There are certainly significant differences between e.g. a point-to-point LCC and a hub-and-spoke legacy carrier, but also many different shades in-between. This presentation will show the consequences of an airline’s network and crew strategies for pairing and roster construction and what possible optimization options are. Andreas has more than 15 years experience in the development, implementation and best application of crew and aircraft optimizers. Currently, he is Product Manager for the xOPT optimizers in Lufthansa System’s NetLine suite. Need of the airline to help achieve efficiency through the efficient planning of the network schedule. Discussion around what we’re doing at IndiGo to increase efficiency of operations in regards to our organizational goals and objectives. Mr. Jason Herter is the Vice President – OCC & Dispatch at IndiGo Airlines. Jason comes with over 18 years of rich experience in managing operations control centre, dispatch, implementing operations systems and optimizers as a user as well as a vendor. Abstract Submission Deadline: Now! As you can see on the agenda, there are still some open spots. So please, submit your paper today! I am sure there are many stories to tell about this most interesting field that we all operate in. SAA offers special rates for the AGIFORS delegates who wish to travel on SAA. The average temperature in Ekurhuleni in May is quite mild at 12.5 °C (54.5 °F). In the afternoon it is a bit warmer than that and it cools down in the evening. There is little rain in May. On average 13 mm (0,5in) in the entire month. It will very likely be sunny (83.9% of the time on average). On May 4th we will drive out of the complex to have a traditional South African themed Boma dinner. We will be eating by the fire, and it has every bit of a legendary evening written all over it. 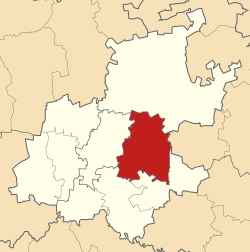 Ekurhuleni Metropolitan Municipality is a metropolitan municipality that forms the local government of the East Rand region of Gauteng, South Africa. The name Ekurhuleni means place of peace in Tsonga. Ekurhuleni is one of the five districts of Gauteng province and one of the eight metropolitan municipalities of South Africa. The seat of Ekurhuleni is Germiston. The largest language group among its 2,480,260 people is Zulu (2001 Census). OR Tambo International Airport is in the Kempton Park area of Ekurhuleni. An Integrated Transport Plan has been initiated to allow Ekurhuleni Metropolitan Municipality to confidently develop a transport system within its responsibilities over the next 5 years. Following the 2016 municipal elections, Ekurhuleni will include the area of the Lesedi Local Municipality, which will be abolished, making Ekurhuleni the local government of both the East Rand and the rest of south-eastern Gauteng. Cultural activities and Dinners are not booked on the web. Below are the discounted prices for them.